Winner of nine national and four international competitions, has performed with the most important symphonic orchestras, amongst them the "Orchestra Sinfonica RAI di Torino", "Accademia naz. di Santa Cecilia", "Arena di Verona", "Teatro Comunale di Firenze", "Teatro alla Fenice di Venezia", "Orchestra della Svizzera Italiana" and the "Caracas Symphony Orchestra". Since twenty years he has been working with the "Teatro alla Scala" and with the "Filarmonica della Scala" under the baton of the nowadays leading conductors R. Muti, C. M. Giulini, G. Prètre, L. Maazel, L. Berio, S. Bychkov, G. Sinopoli, W. Sawallisch, M. W. Chung, G. Dudamel, C. Abbado, R. Chailly and D. Harding. He often plays with Mr. Riccardo Muti and is regularly invited to join Mr. Zubin Mehta and the "Orchestra del Maggio Musicale Fiorentino" on concert tours. He has played at famous national and international festivals such as the "Biennale di Venezia", "Settembre Musica", "La Scala di Milano", "Accademia Filarmonica di Roma" or the "Ravenna Festival". Other concerts took place in Salzburg, Athens, Madrid, Saint Petersburg and Mexico City as well as in prestigious halls and theatres such as in the "Carnegie Hall" in New York, the "Suntory Hall" in Tokyo, the "Gewandhaus" in Leipzig, the "Musikverein" in Wien, the "Schauspielhaus" in Berlin, the "Lacma Museum" in Los Angeles, the "Grand National Theatre" of China-Beijing, the "European Parliament" in Brussels, the "Ciajkovskij Hall" in Moscow and the "Liceu" in Barcelona. He devoted himself to XXth century repertoire and some of the most meaningful contemporary works for saxophone are dedicated to him. He has recorded for EMI, Edipan, Stradivarius, Agorà, BMG and Sony Classical. His CD of the major saxophone concertos for soloist and orchestra, which he recorded with "G. Verdi Symphony Orchestra" conducted by H. Schellemberger, was recently released in Italy by Amadeus and is now internationally released on ARTS. 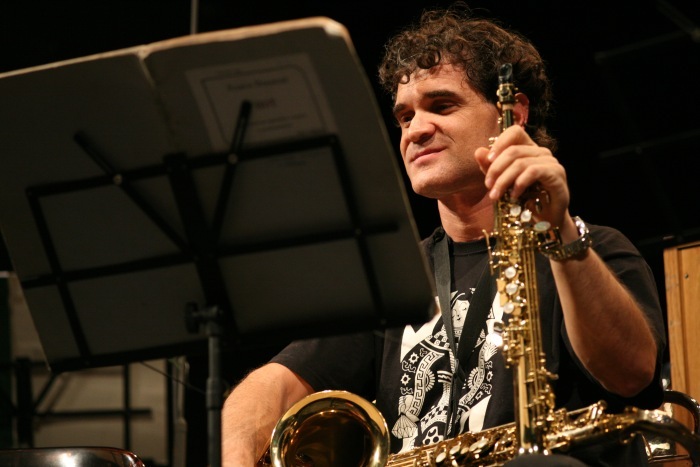 Marzi teaches saxophone at the "Conservatorio G. Verdi" in Milan, gives post-graduate courses and master classes in Oporto, Amsterdam, Lisboa, Frankfurt, Beijing and Denver. His book Il Saxofono (Zecchini ed.) have been published on October 2009.